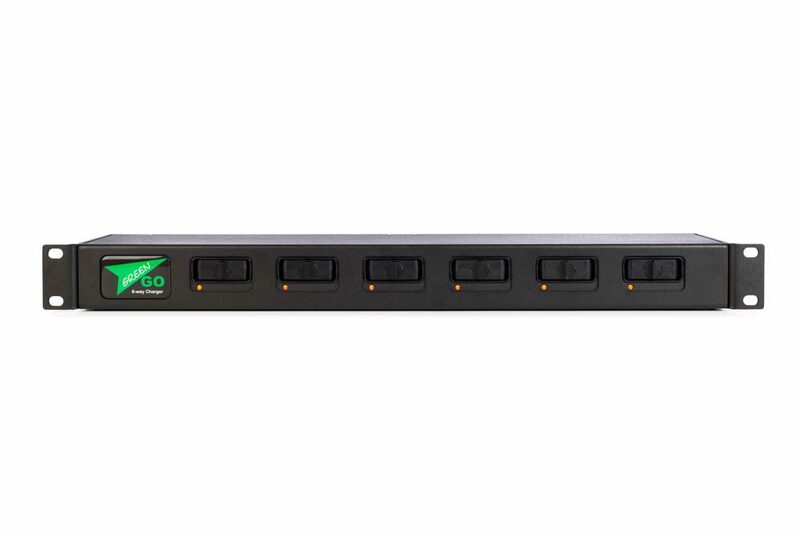 The Green-GO 6-Way Battery Charger is a battery charging station for use with the Green-GO Energy Packs (GGO-NRGP). 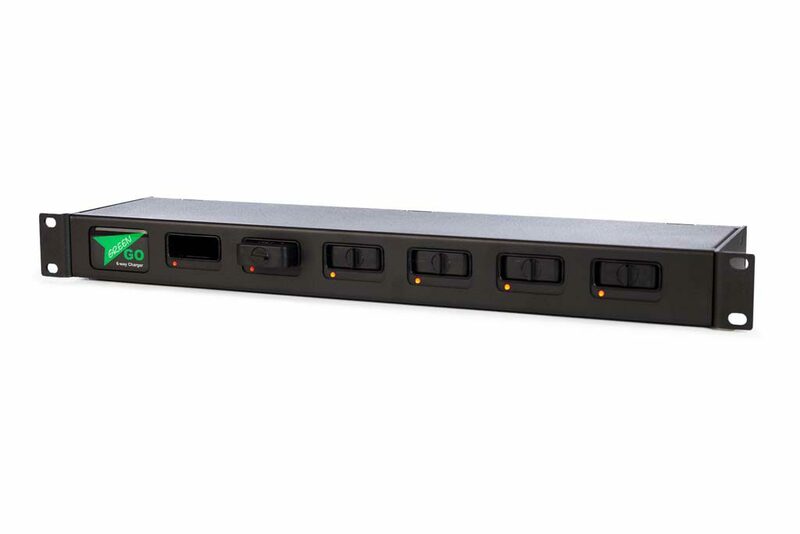 The Battery Charger can charge 6 Green-GO Energy packs at once. Each charging dock has a LED indicator that shows the status of the energy pack that is charging.